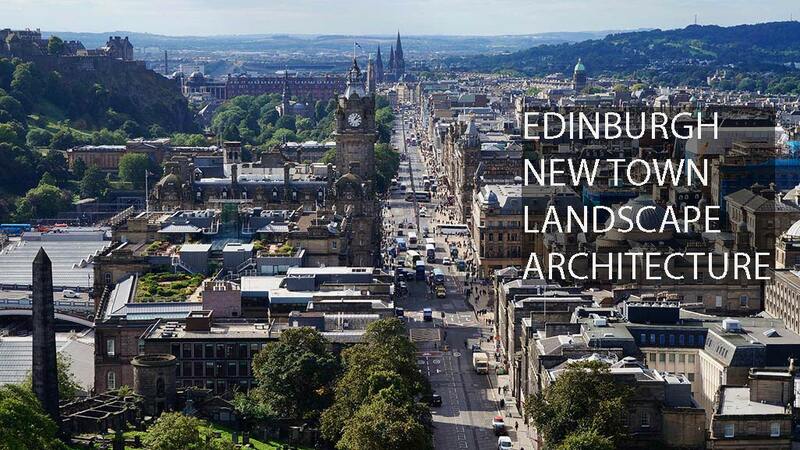 Was Edinburgh’s new town planned by a landscape architect? Yes. One could argue that the term ‘landscape architect’ was not invented until 1828 and could not apply to a competition design submitted in 1766. But the term ‘architect’ did not exist when Egypt’s pyramids were built and was unknown in England when the Gothic cathedrals were built. Is anyone going to say these are not works of architecture? No. And what a various prospect lies around! The stretching landskip into smoke decays. So we all enjoy views of hills, and vales, and woods, and lawns, and spires, and towns betwixt – and of the Firth of Forth. Craig therefore planned the street layout and the public open spaces. His work was a composition of landform, water, vegetation, planting and building. Within this framework, which we would now call a landscape urbanism framework, he left the work of designing the buildings to many architects. Edinburgh New Town is therefore an excellent illustration of how landscape architects should work with architects on residential architecture. Much of the New Town now has non-residential functions. This shows that the working relationship works equally well for other types of urban design. James Craig planned Princes Street with an elegant terrace to the north and what is now Princes Street Gardens to the south.